The lost art of reading books without electricity I can imagine Benjamin Franklin, or Thomas Jefferson lying in bed, reading a book, only by candlelight. -- Members can volunteer to fix my awkward writing, I am rich in experience, and poor in understanding of grammar, but do speak two languages. Le vie est belle. "Please teach me how to bleach clothes?" Here I am a world traveler, some kind of big wig traveler Blogger, who has been to 107 countries, but often I find myself searching for old people, I need solutions, and do mean old people, the older the better. 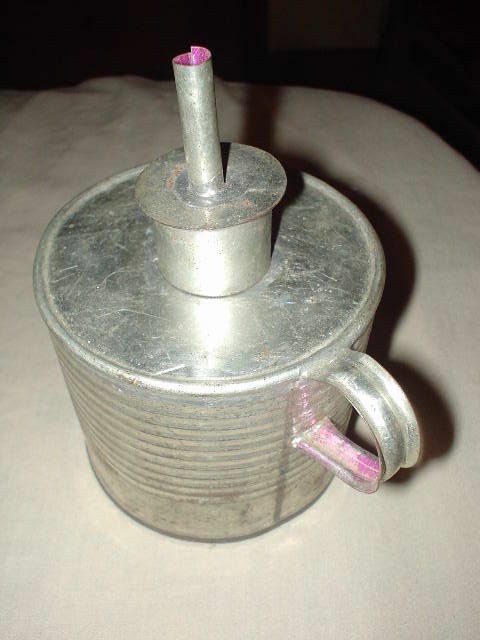 I stopped in to see Walt Werner, a 93 year old friend of mine in Fort Wayne, Indiana, I wanted to ask him how to weld, and make a permanent magnet generator, or maybe how to weld a hand pump? I am sure my farmer boss, Buster Spade, who died many years ago would be able to tell me how. He could do anything, he was one of my mentors, truly miss that guy. Life is not so simple in the other 252 countries that are not as lucky as the USA. I want to know, I am having problems all over the planet, how to hand wash my clothes, how to shower without a shower, how to find clean water, and how to read books when there is no electricity? The list of new challenges is endless when you leave the warm womb of the USA, and venture out. I often scream, why don't they put screens on windows? I do not want bitten all night by mosquitoes. One of the worst nights of my life was in Brugges, Belgium, an expensive hotel that gave me a free room for week. What's up with these European hotels, don't they know about window screens in Europe? Well, the building was 200 years old, and summers are short in Europe, so I guess they just don't get it, hotel guest do not need to be bitten by mosquitoes. How to read books when there is no lights, off the grid? 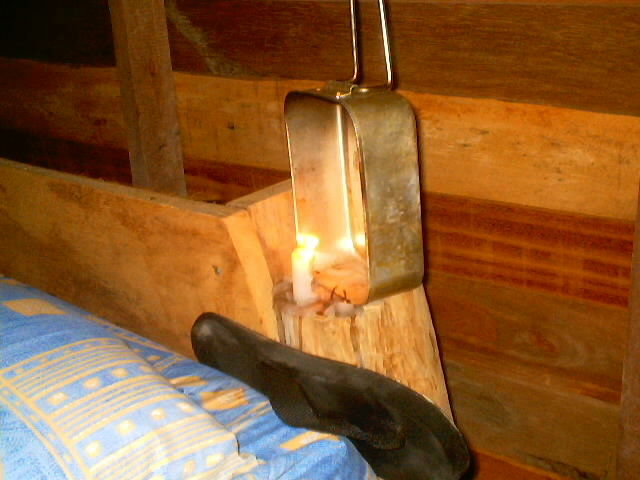 I was on an Island called Koh Chang, Thailand, near Ranong, Thailand, or Burma, right on the beach, very windy, and I was trying to protect my candle from the wind, and hopefully reflect more light towards my book. It can be very boring as a world travel, we need to be self entertaining. 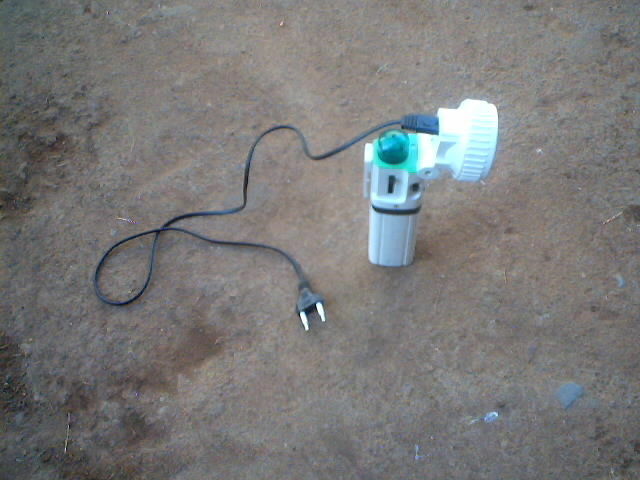 This is really one of the ideal systems, it has an electrical plug, LED lights, and a rechargeable battery. These can be super cheap abroad, buying in USA is painful. Read more, see more photos. This is probably the most common form of light on the planet, I think I took this photo in Bolivia, but the are in 200 plus countries. Read more, and look at photos. 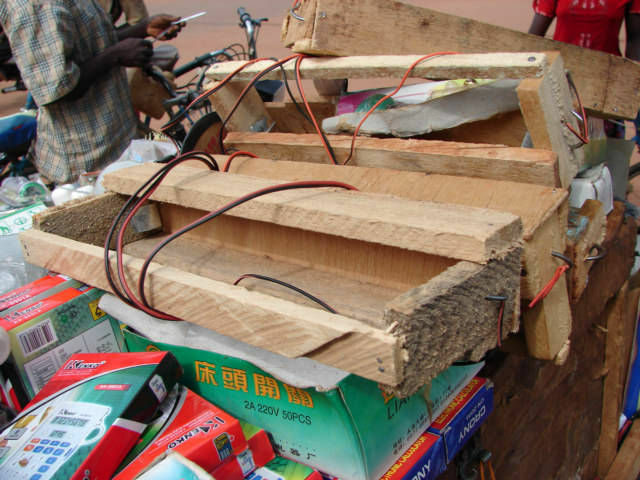 Before China ramped up, and Africa imported LED lights, these boys in Burkina Faso were taking the LED lights out of cigarette lighters, and using to make lights. Read more, and see photos. 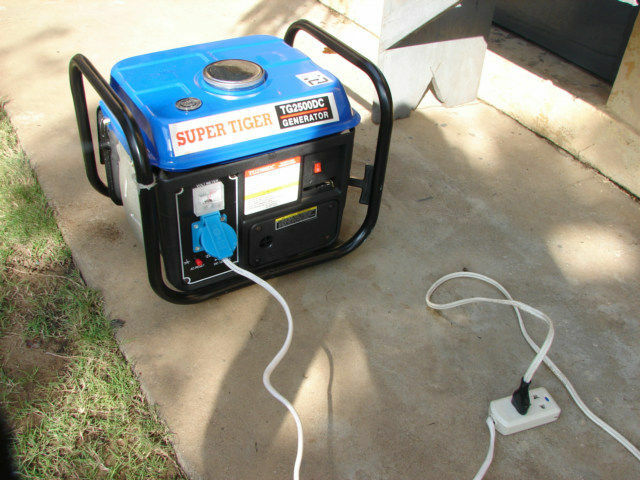 One time, when there was no electricity in Lome, Togo, or is just plain sucked, I purchased a 85 dollars China generator to run the fan, computer, and to read, truly a noisy method of lights. Sosua, Dominican Republic may have the modern, screwed up electrical grid on the planet. 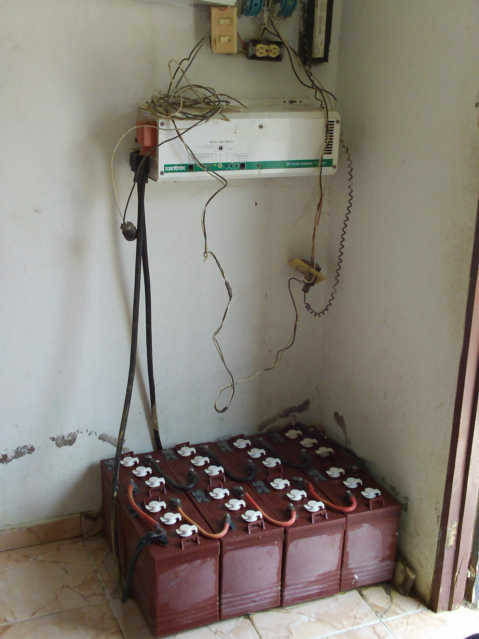 The electricity is so needed, they will put piles of deep cycle battery, and an inverter in almost 90 percent of houses, it is rare to not find a system like this in the city of Sosua, truly the DR is a "Charlie Foxtrot," when it comes to brains for electricity management. See photos, and read more. There is a reason the people never lived close to the beach... 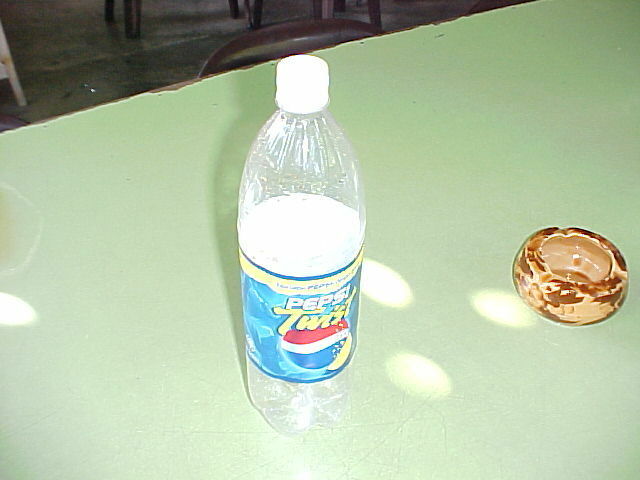 I was on the beach in Thailand, and the wind never stopped blowing, so I cut this plastic bottle in half, put a candle inside to protect it from wind, but the plastic also reflected more light towards my book I was reading. Well, the moral of the story is this, after living abroad in 107 countries for over 18 plus years, I am qualified to empathize with how the 1.5 billion people with NO electricity life, there is at least another 3.5 billion that have iffy, off and on electricity. These 225 countries are not the under-developed, they are the normal, and the USA is over-developed. Resourceful is the name of the game. Thanks for sharing.